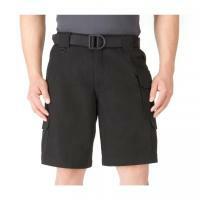 511 shorts are the choice of federal, state and local police for over 15 years. These Men's Tactical 511 shorts are as comfortable as they are functional. They feature seven pockets including thigh pockets and two back pockets which can be used to hold your flashlight, cell phone, knife, or magazines. I was very impressed with the quality of the shorts. They fit great. I will be ordering a mother pair.